Ferlin Husky was born on 3 December 1927 in Missouri, USA. Husky's first recordings were made about 1950 for Four Star Records, singing under the name He signed a recording contract with Capitol in 1952 or 1953 (sources differ). 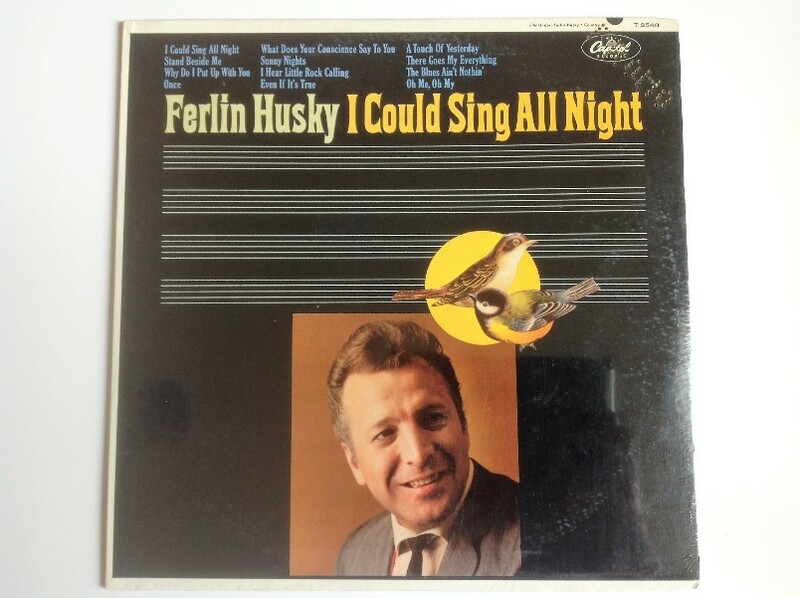 Now singing as both Ferlin Husky and Simon Crum, Husky had numerous hits in the second half of the 1950s until the mid-60s, followed by fewer and smaller successes. He recorded "There Goes My Everything" in 1965, releasing it in May 1966 on his "I Could Sing All Night" LP. "There Goes My Everything" became really well known, however, when Jack Greene's recording of it made a big impact not only on the charts, where it reached the top of the US Country Chart, but also on the 1967 "1st Country Music Association Awards," where it was voted Single of The Year and Song of The Year.